Ethylene Vinyl Acetate Case for Sennheiser HD558 Headphones Carrying Case Storage Hard Bag Earmuffs Durable Waterproof Compact Lightweight Versatile Portable Eco-Friendly Dustproof Scratchproof Hard Protective Collecting Headset Pouch Organizers by OCase E-Commerce Ltd. PREMIUM QUALITY carrying case for full-sized over-ear headphones. This case will fit Audio Technica headphones that have the large Brainwavz ear pads installed!! Dimensions are L 9 X W 8 X H 4.3 inches with a weight of 12.7 ounces. IMPACT RESISTANT EVA shell with GRIP-TECH outer lining, WATER RESISTANT Stitched ZIPPER, Strong nylon handle and loop/metal ring (on top). Interior lined with soft blue Lycra. Headband/earphone interior mold reduces sideways movement. Depending on the model of headphones you have you may need to adjust the headphone arms or rotate the earphones slightly inward for best fit! There are some very large headphones that do not fit inside this case. Storage space for accessories and other personal items in middle cavity of case. Carabineer and cable tie included! Please NOTE – we do not suggest this case for any Bose, Sony, Parrot Zik, Beoplay, Beats and similar sized headphones. Fits many Sennheiser, Audio Technica, Denon, Shure and Turtle Beach headphones. At next blog, we’ll talk about next step after Lamination. OCase Ultralight Trap Combo Over / Under Shotgun EVA Hard Side Case Suitcase Custom Designed Gun EVA Foam Cutouts Bag Organizers. OCase Ultralight Trap Combo Over / Under Shotgun EVA Hard Side Case Suitcase Custom Designed Gun Foam Case Versatile Anti-Tear Dustproof Case Handgun Firearm Pistol Durable Waterproof Compact Lightweight Portable Hard Protective Collecting Case Organizers. This is our ultralight Trap Combo Over/Under Shotgun EVA hard side case in SUPER TOUGH NO-RIP POLYESTER FELT – (Weather Tight) – this will fit O/U trap shotguns up to a barrel length of 34 inches (overall length of barrel assembly 35″) in one slot & 32 inches (overall length of barrel assembly 34″) in the other. Our three layer system will protect your shotgun like no other – All horizontal surfaces are covered in soft, durable 100% Polyester Felt (vertical interior sides are NOT covered) – all over soft and firm foam. This case uses a special closed cell ‘Microcell” foam. Extra heavy 7mm EVA hard shell case is covered in 1680 denier ballistic nylon. Top quality YKK zipper used. Weapon has one inch of foam both above & below it. Extra cutouts include one 3″ by 11″ for the fore end, a 3.25″ by 7″ & a 2.5″ by 7″ for choke tubes, glasses, slings etc. Spacers included for under/oversize guns to make a perfect fit. Includes reusable desiccant so your interior stays dry. 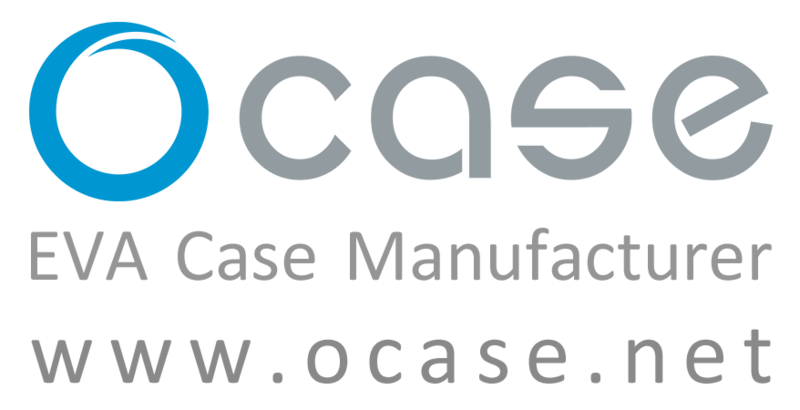 OCase Ultralight 4 Pistol 1911 & Auto Pistol EVA Multi Gun Hard Side Case Suitcase Custom Designed Gun Foam Case Versatile Anti-Tear Dustproof Case Handgun Firearm Pistol Durable Waterproof Compact Lightweight Portable Hard Protective Collecting Case Organizers. This is our ultralight 4 Pistol EVA Multi Gun hard side case in SUPER TOUGH NO-RIP POLYESTER FELT – (Weather Tight) – this will fit Four full size 1911 or smaller auto pistols (up to 9.6″ long). Our three layer system will protect your hanguns like no other – All horizontal surfaces are covered in soft, durable 100% Polyester Felt (vertical interior sides are NOT covered) – all over soft and firm foam. Extra heavy 7mm EVA hard shell case is metal band reinforced and covered in 1680 denier ballistic nylon. Top quality YKK zipper used. Weapon has one inch of foam both above & below it. Extra cutouts include large 6″ by 10″ for ammo/accessories & nine mag cutouts for the auto pistols. Includes reusable desiccant so your interior stays dry. Case option for a solid brass 3.5″ by 1.5″ plate for your custom engraving.